Each with their own never-before-seen outfit! Collect them all to create your own ghoulish gang! ideal for ages 6 and up. Clawdeen Wolf. 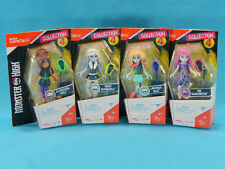 The Entire Scary Collection Kiyomi Haunterly. 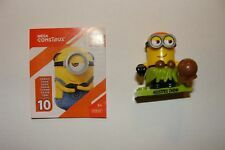 10x Nickelodeon Ninja Turtle Surprise Figure Packs. Mega. Series 2. 10 Figures. Treat each pet to a shampoo followed by stylish grooming make-over. Ideal for children ages 4 and up! MEGA BLOKS WORLD OF WARCRAFT 91046 SHA OF ANGER (NIB). Condition is New. Build her stand and showcase her adorable toys on her table. Ideal for ages 5 and up. Help Mikey aim and knock over the traffic pylon. Lend a hand Mikey aim and knock over the traffic pylon. EASTER BUNNY FIG. YOU GET EITHER BLUE OR PINK. Otherwise the toy looks great and is clean and ready for use. UNLESS I MARK THEM AS NEW. however I don't get every nook and cranny. Otherwise the toy looks great and is clean and ready for use. UNLESS I MARK THEM AS NEW. Used, comes with flame thrower. Figure is in excellent condition!! Play two ways when you wheel out a colorful elephant pull toy and a parade of buildable animals. Pull them along on their rolling wheelbases to create an animal parade. Pull the elephant by its string to make the building blocks spin inside the big tumbler. Item is brand new never opened. 66 pieces. 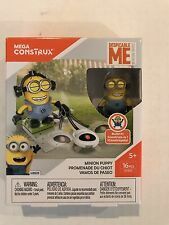 Would go great with some of our other despicable me 3 items. Thank you for looking. Please check out our other great items on eBay. Mega Bloks Eastman and Laird's Teenage Mutant Ninja Turtles Raphael . Condition is New. Shipped with USPS First Class Package. 2 Mega Blocks Building Blocks Puppy Dog Figurines. Includes Pretty Pets Barbie® doll with an extra fashion. The toy is complete and and sealed. Too bad Raph is about to foil their plans! Now you can put Shredder in a deep freeze! KRAANG Cryo Chamber. Ideal for ages 6 and up. Great Price!